This photograph shows wooden beams and boards. 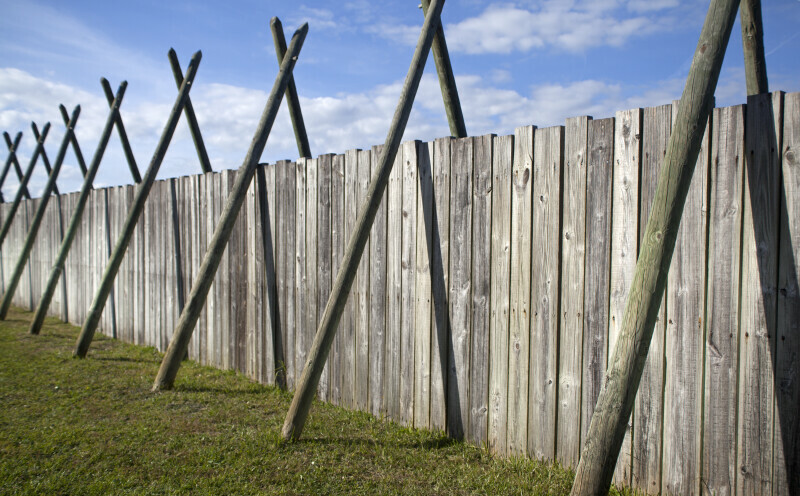 The grass is on the interior of the wooden fence, and comprises the interior of Fort Caroline's reconstruction site. WARNING: You are about to download a 50.5 MB TIFF!